Chris Jones is our Automotive Security Specialist. Chris is able to produce transponder keys and remotes for a wide range of vehicles, including some that others may turn away (such as BMW). Chris has a particular specialism in proximity remote systems for Nissans, as well as keys for European trucks and heavy vehicles (such as Mercedes, Scania, and Iveco). Whangarei Mobile Locksmiths are Northland’s leading specialists in Automotive Locksmithing. Our specialist technicians are able to produce keys for a wide range of vehicles, including BMW and Mercedes. Transponder keys are no problem, as we have the latest technology and advancements in the industry. No matter what vehicle – car, truck, motorcycle, or beach craft, we have the tools and technology to get you back on the road FAST. Been told to wait 3 weeks ex Germany or Japan for parts or replacement keys? We hold stock for many different makes and models. We can often bypass cumbersome dealer or manufacturer formalities and have you motoring again in hours. Is your vehicle fitted with a proximity remote or some other kind of advanced starting device? These systems are no problem for our team. Lost keys for your late model Toyota? Been told that all locks, ECU and immobiliser unit must be replaced? Our technology can reproduce keys for these vehicles without any part replacement. Where possible we will supply & program remotes for both factory fitted systems and aftermarket systems. Fault with your immobiliser? 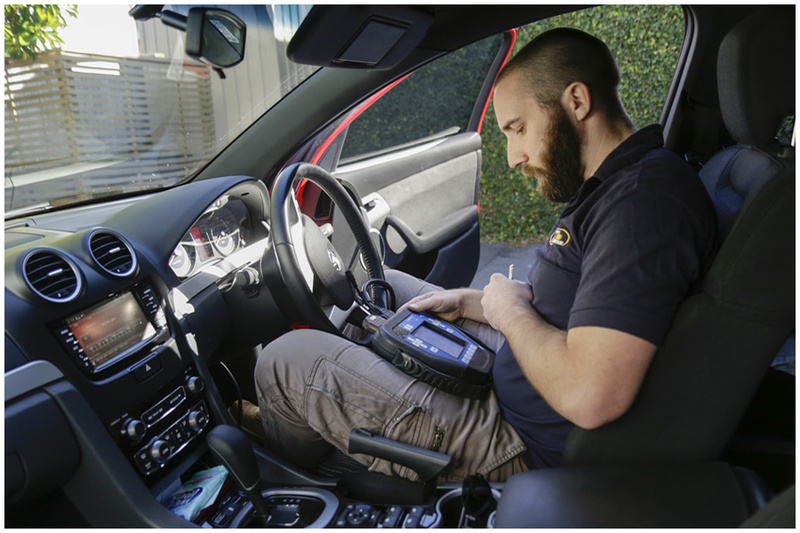 We can help diagnose, repair and in some cases bypass faulty immobiliser systems. Alarm faulty or finding it a pain? We remove all types of aftermarket alarm, returning your vehicle to original condition. Lost or broken your garage remote? We do those too! All major brands held in stock. Been told they no longer make remotes for your older garage door opener? No problems. We have advanced technology which can clone older remote types, avoiding expensive motor replacement. Locked out of your vehicle? Any make any model. European or Japanese. Common or exotic. If we can’t open it – you don’t pay. Looking for a simple spare? Is the manufacturer forcing you to buy an expensive integrated key? We have the solution. We are able to provide a wide range of options when looking to purchase spare keys. Just want the key and transponder, without the expensive remote? We can do that. We can repair or replace a wide range of automotive locking mechanisms, including those fitted on European or exotic vehicles. We are an approved supplier with most major insurance companies.